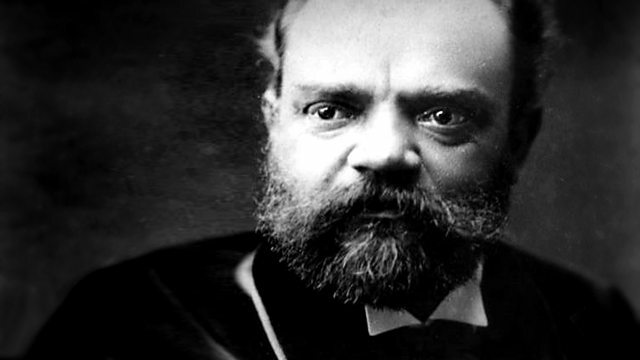 Donald Macleod describes Dvorak's extraordinary reception in England and introduces some of the works he premiered during the many visits he made to the country. Following a hugely popular performance of his Stabat Mater at the Royal Albert Hall in March 1883, Dvorák was invited by the Philharmonic Society of London to write a new work for them and to come and conduct it. Donald Macleod describes Dvorák's extraordinary reception in England and introduces some of the works he premiered during the many visits he made to the country, including the symphony written for the Philharmonic Society, a cantata based on a spooky gothic tale and one of the greatest of all his liturgical works. Orchestra: Oslo Philharmonic Orchestra. Conductor: Mariss Jansons. Singer: Thomas Moser. Singer: Jan‐Hendrik Rootering. Choir: Czech Philharmonic Chorus. Orchestra: Czech Philharmonic Orchestra. Conductor: Wolfgang Sawallisch. Singer: Oksana Krovytska. Singer: John Aler. Orchestra: New Jersey Symphony Orchestra. Conductor: Zdeněk Mácal. Singer: Genia Kühmeier. Performer: Christoph Berner.